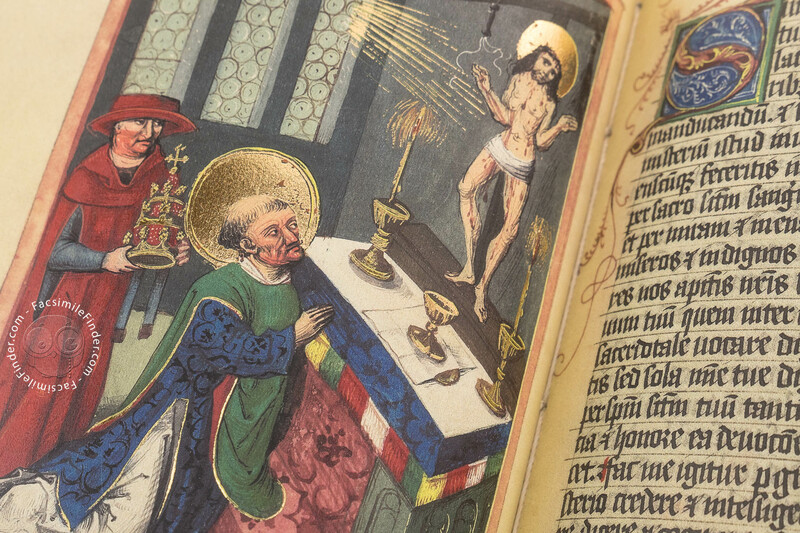 The medieval monastery of Herrenalber, in the south part of Germany, near the city of Ulm, had a remarkable scriptorium. 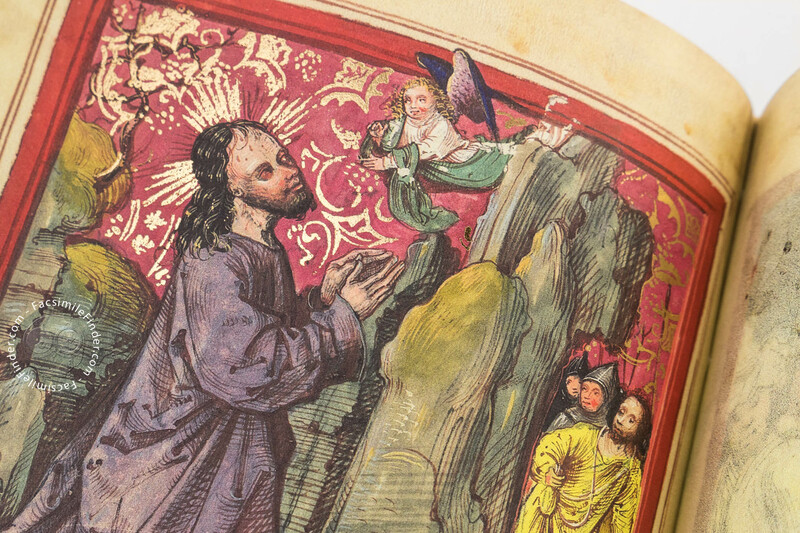 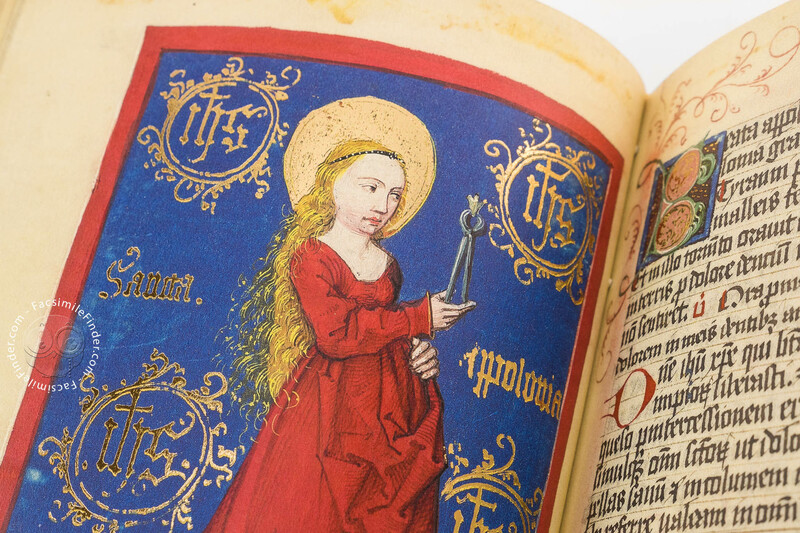 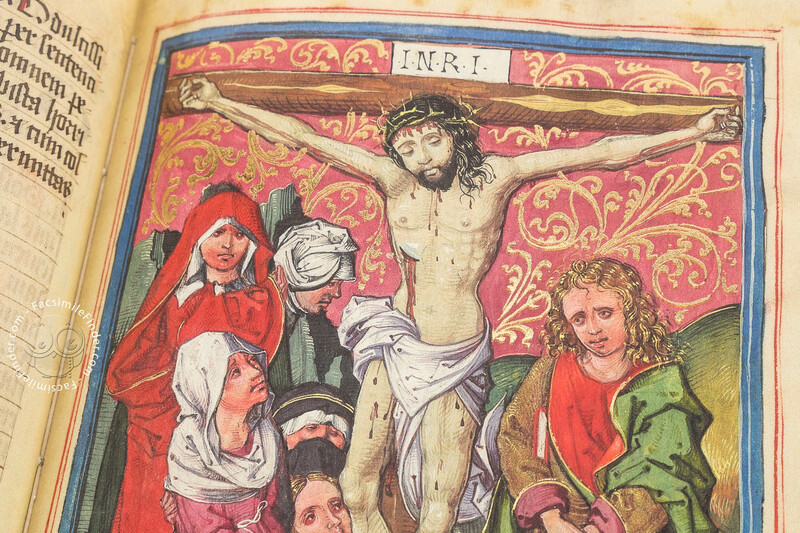 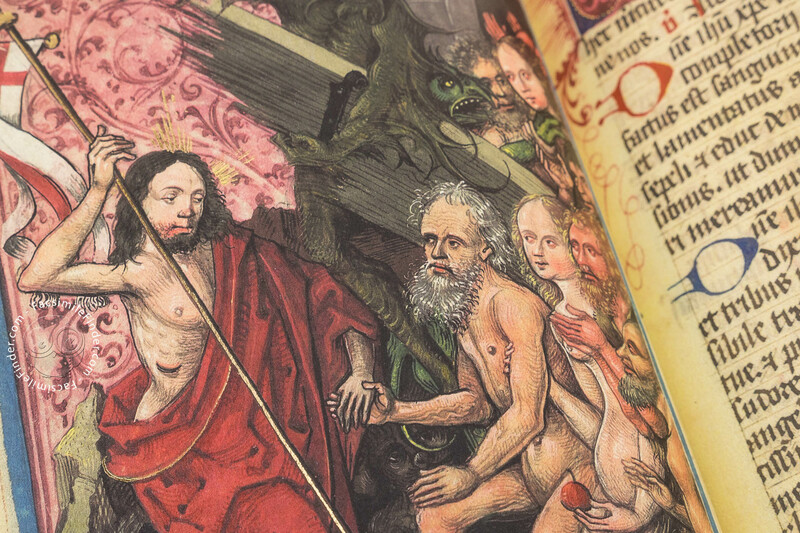 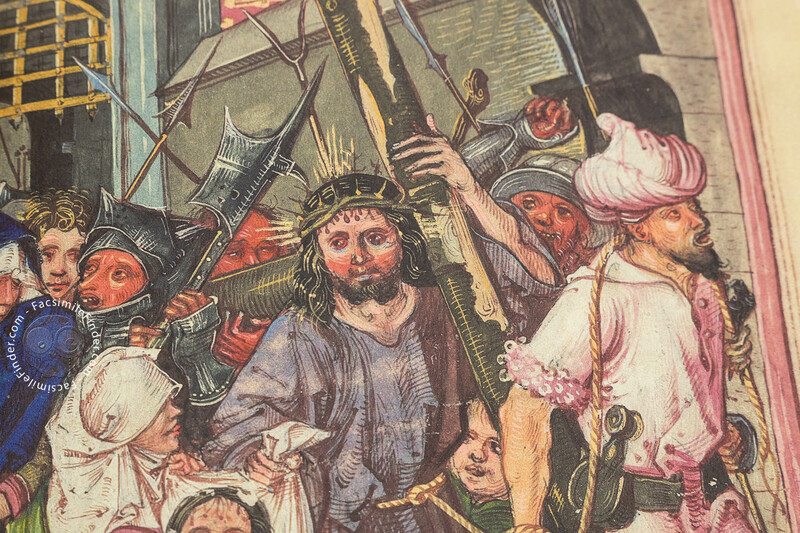 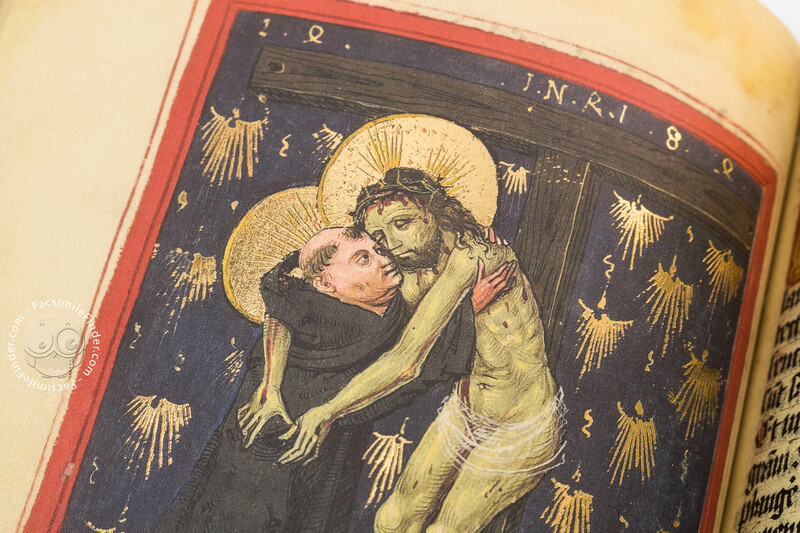 This book was realized there, in 1484 and was the result of the work of Johannes Zurn of Nyposheim, singer of the monastery, according to what is written by the very same author in the book’s colophon. 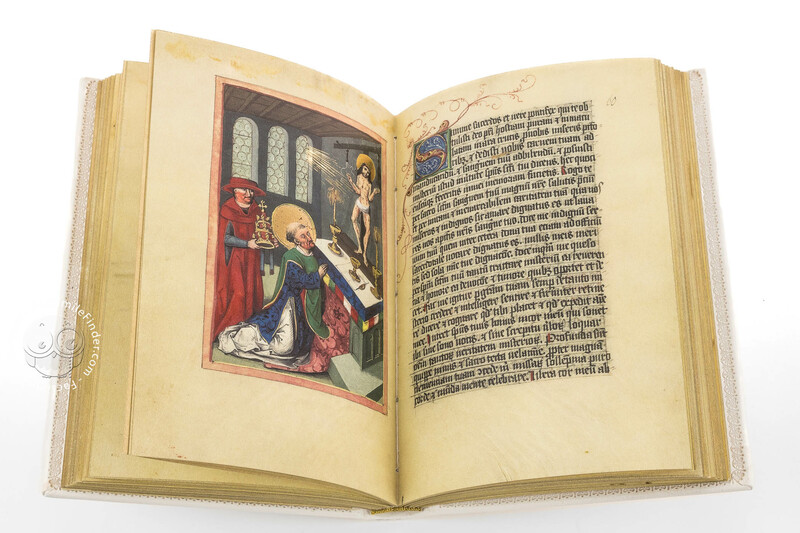 This manuscript is a masterpiece of German Gothic with its typical dark coloration and it's written in Center-European Gothic lettering. 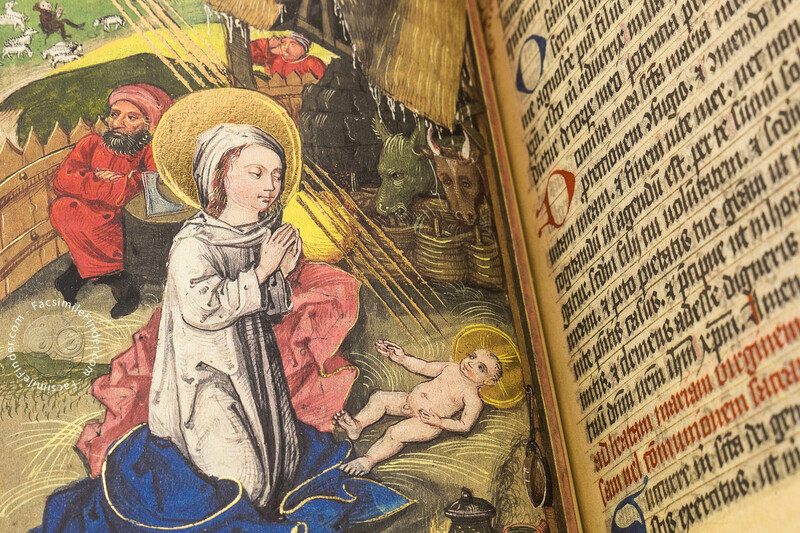 It is a very interesting piece, first because in these years printed books were very common. 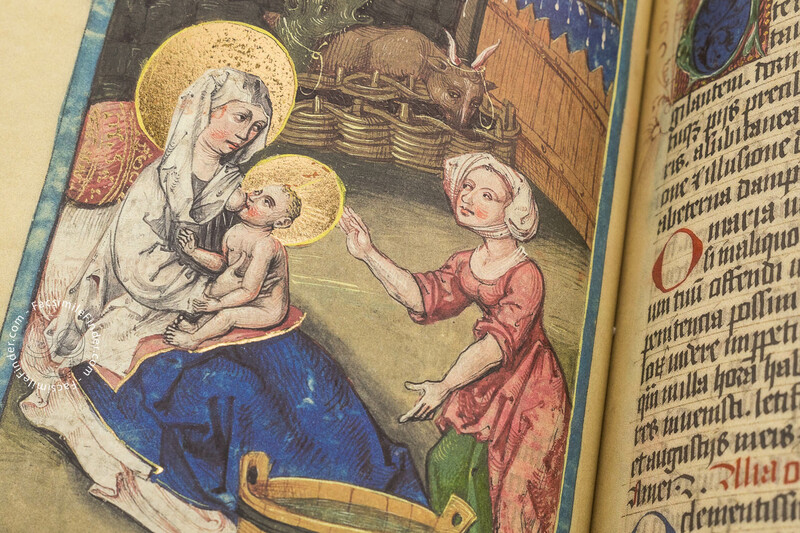 Thus, the existence of a handmade manuscript witness the strong will to keep the traditions alive, and the desire to create an opera that differentiate itself for its beauty and realization. 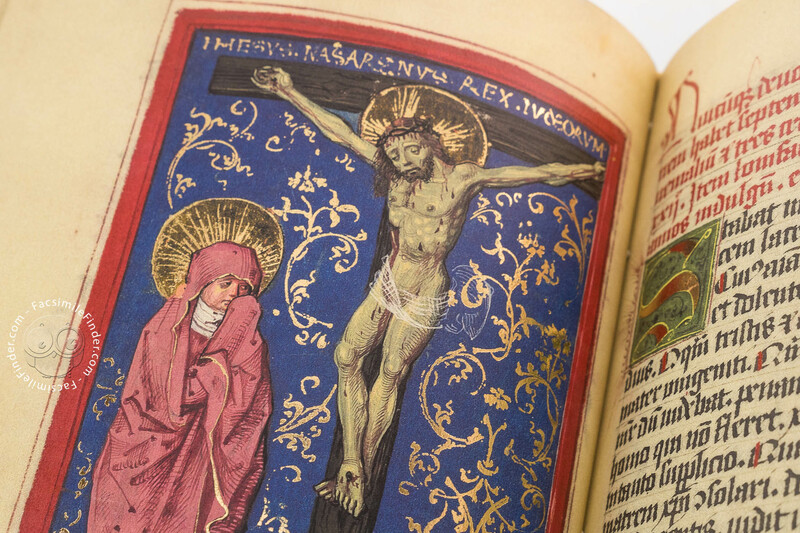 In this era handmade books were considered superior than those printed; Federico da Montefeltro, Duke of Urbino, exquisite bibliophile, refused to have printed books as part of his Library. 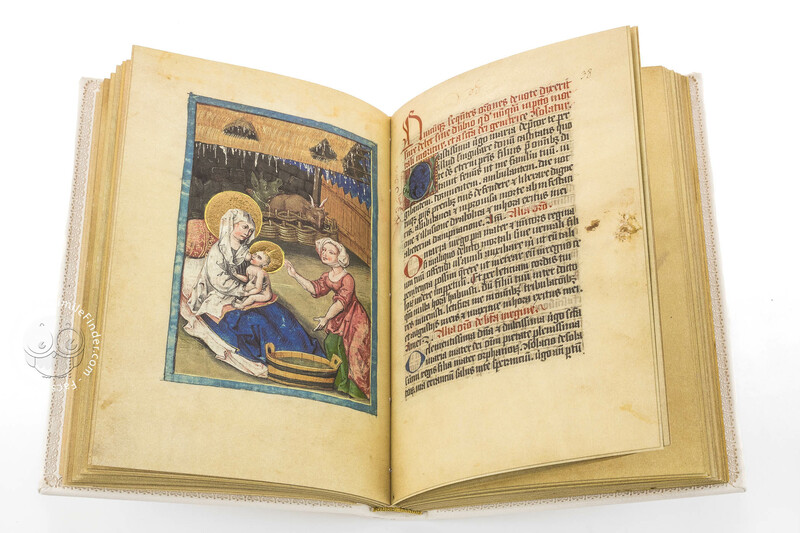 Manuscript book on parchment − 20 × 14 cm − 206 pp. 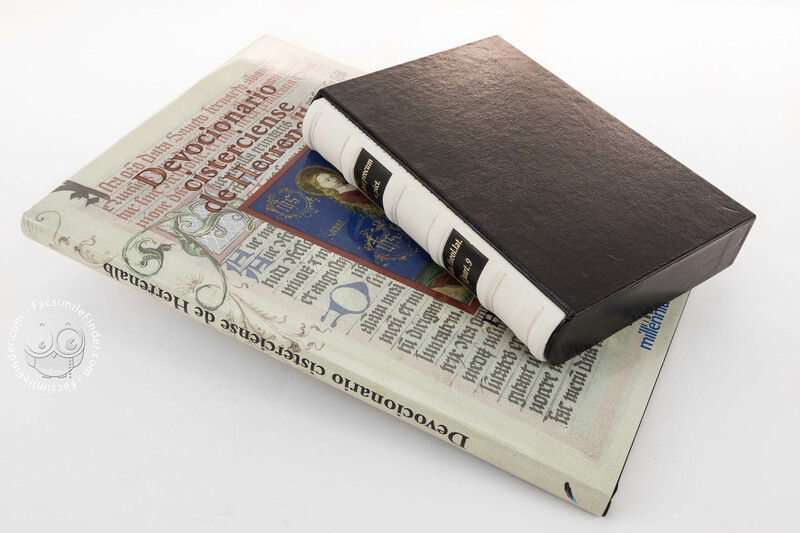 Full-size color reproduction of the entire original document, The Cistercian Devotional Book: the facsimile attempts to replicate the look-and-feel and physical features of the original document; pages are trimmed according to the original format; the binding might not be consistent with the current document binding. 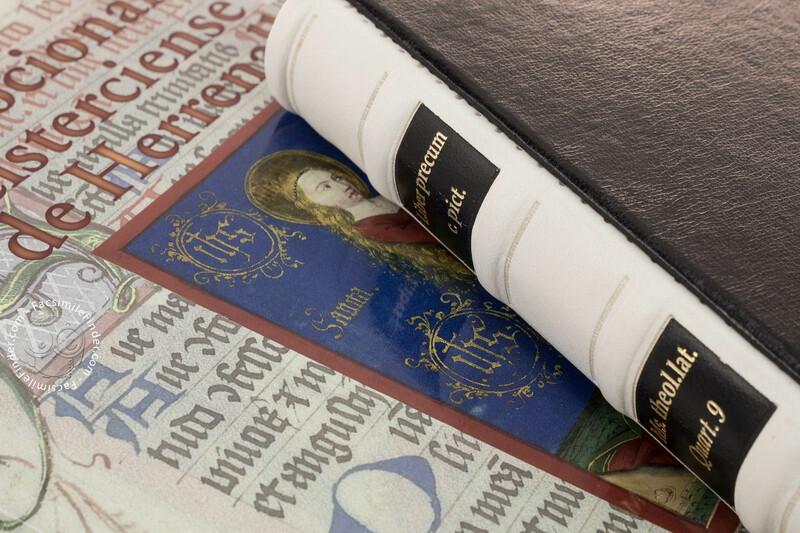 Facsimile edition collected, creased and sewed by hand. 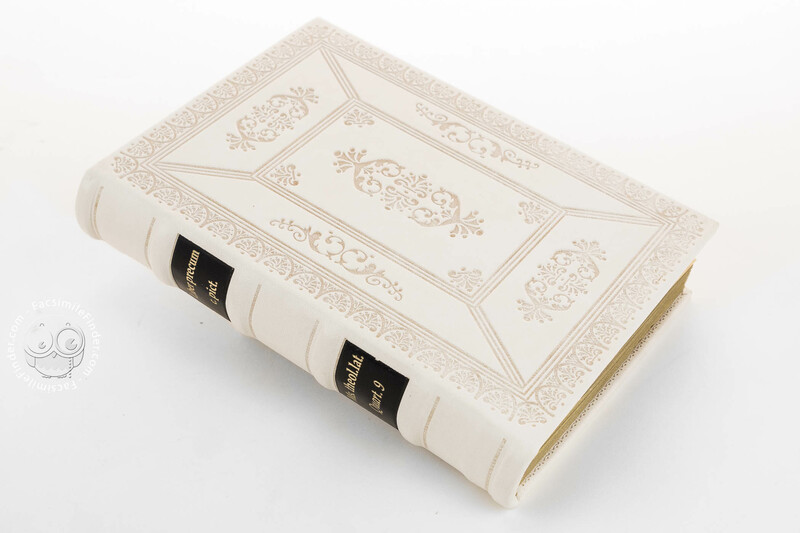 The facsimile and the historical, artistic and paleographic commentary are exposed with an elegant case.